Hemingway would no doubt feel at home in the Old Havana setting of La Descarga, so it’s the perfect venue for an event called Moveable Feast: An Unpredictable Culinary Experience. 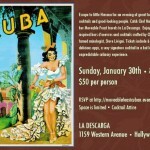 On Sunday, January 30th, Chef Meg Hall (Made by Meg) presents her first Moveable Feast, a classy evening of Cuban-inspired hors d’oeuvres and craft cocktails. 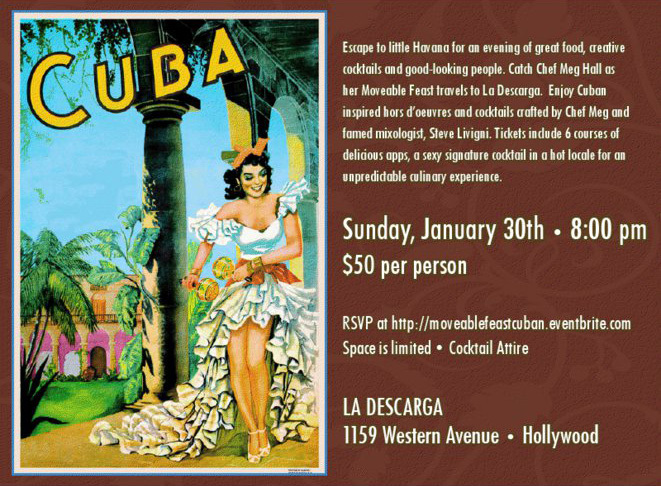 The $50 ticket includes six courses of apps by Hall and a signature cocktail created by La Descarga mixologist Steve Livigni.